A deluxe general purpose card personalised using our unique metallic foil crystal labels. You can choose what you would like personalised to a max of 25 characters. Card measures 6.25x6.25" Inside wording "A special message filled with wonderful thoughts are sent your way. Especially for you." 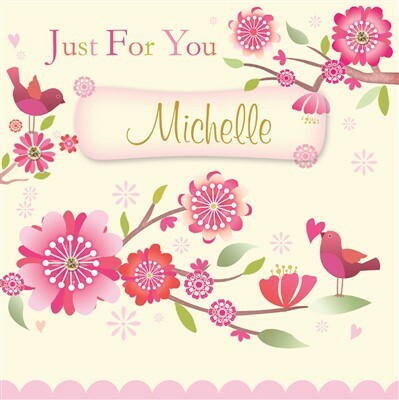 Just for you is printed on the outside of the card as standard and can't be changed or removed.